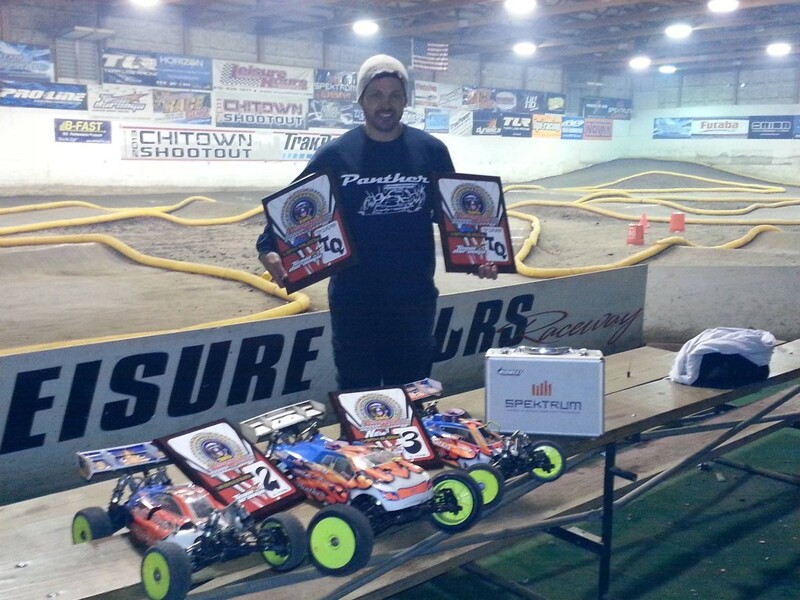 Sonny O TQ’s at the Presidents race at Leisure Hours Raceway. Sonny O TQ’s in Nitro Buggy on blue rattlers / orange foams and truggy on super soft raptors / yellow foams at the Presidents race at Leisure Hours Raceway. This entry was posted on February 21, 2014. It was filed under Race News.